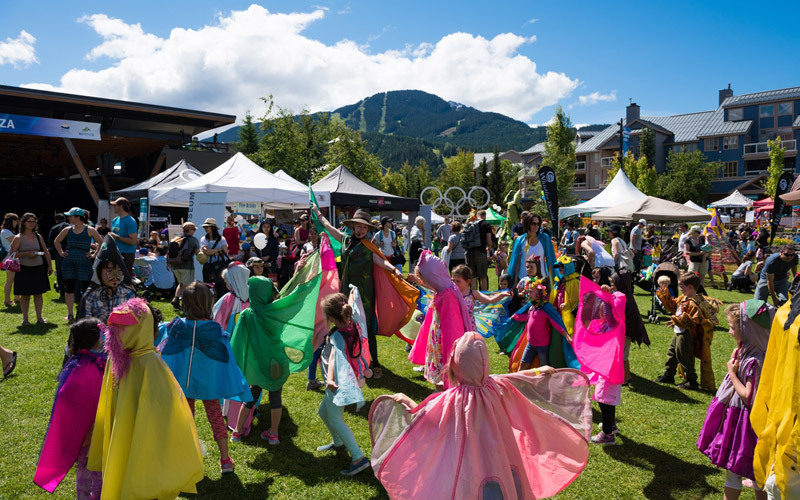 The festival takes over Whistler Olympic Plaza all weekend long. The entrance fee gives access to free activities such as face painting, balloon hats, origami and a covered free-play area for kids under 2 years. There will be performers on stage all day and roving characters to surprise and delight. Entrance Fee: $15 for the weekend or $10 per day for children 3–15 years. Free for kids 2 & under, parents and guardians.